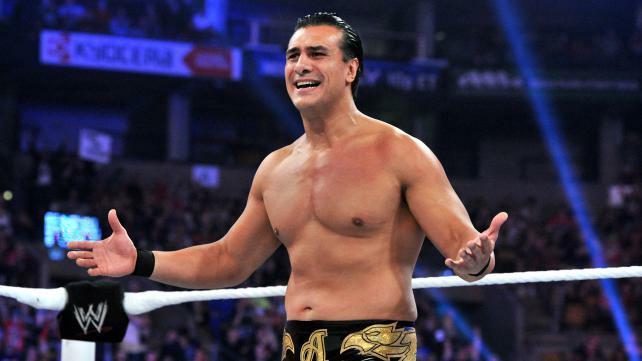 The WWE have announced the shocking release of former WWE World Heavyweight Champion, Alberto Del Rio. The company revealed Alberto Del Rio has been released on the grounds of “unprofessional conduct” as vague details of an altercation with a fellow employee is said to be the motive behind his release. The news comes as a surprise to the WWE Universe as Del Rio is one of the promotion’s better paid athletes and although has slipped down in the pecking order was considered a valuable superstar on the roster. It is said his contract with the WWE was set to expire sometime this year. The 37-year-old has had clashes with management over the direction of his character and career. Starting earlier this year, rumors of Del Rio parting ways with the company started to circulate and a drastic fall from being pushed as a main eventer indicated the WWE had planned to shove Del Rio aside to make space for younger talents such as Roman Reigns, Cesaro, Daniel Bryan and Seth Rollins. During his four-year stint with the WWE Alberto Del Rio captured the World Heavyweight championship on four occasions (Two WWE and two World Titles) and won the 2011 Royal Rumble. Although criticized for nurturing a stale character, Alberto Del Rio was one of the WWE’s most talented wrestlers and could possibly return to wrestling promotion Consejo Mundial de Lucha Librein in his native Mexico.